Please read the information below before proceeding with application. Thank you for your interest in Ignite, Southern Arkansas University’s crowdfunding tool that helps to financially ignite student, faculty and staff projects. The platform, similar to crowdfunding sites like KickStarter or GoFundMe, allows for project advocates to tell their story and conveniently accept donations online. Below is a list of frequently asked questions of those interested in using Ignite to crowdfund for their project. Crowdfunding is a 30-45 day online fundraising campaign in which a passionate group of project advocates, with guidance from the Office of Development, tell their story through word and video and then solicit online donations from a large group of their own personal contacts via email and social media. Crowdfunding may seem like a quick and easy way to raise large sums of money. However, successful projects require a great deal of time (6-10 weeks) and work (planning, soliciting donations from family/friends, producing videos, creating social media content, thanking donors) from a core team of 5-10 individuals who are passionate about the project and are willing to take ownership of the initiative. To be successful, active members of the organization should have a large network of potential supporters to engage. What are the requirements for a successful campaign? A passionate team. As mentioned, a passionate team of 5-10 project advocates is needed to run the many aspects of the campaign. Daily work is required over this 10-12 week period. A large crowd of potential supporters. The project team must be willing to personally reach out to family, friends, and colleagues for support. It is recommended that each project advocate has at least 100 relevant personal e-mail solicitation targets. Generally, a group can statistically expect to raise about $4 per email address that is solicited. A project that is inspired in the spirit of SAU. A project that connects with the Mission of SAU and the SAU Foundation and is supported by devoted project advocates. Here to help every step of the way. When projects are approved to be featured on Ignite, our Assistant Director of Annual Giving, Megan McCurdy, is here to provide any training/guidance you need! Applying to have a project featured on Ignite is open to recognized student groups, faculty and staff. Projects are evaluated on a case-by-case basis. Our committee is here to make sure your project supports the mission of the University and that crowdfunding is the best platform to raise funds for your project. All donations made to Ignite are considered a donation to the University. Unlike other crowdfunding platforms, you are not required to pay a fee. Your organization is, however, required to cover the expenses associated with sending donor thank you cards (cards, envelopes, postage). To apply to Ignite, fill out the application below. 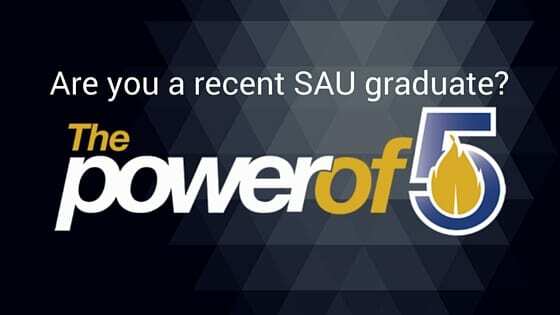 If you have questions, please contact Megan McCurdy at (870) 235-4323 or meganmccurdy@saumag.edu. Are you a registered student organization? List any fundraising activities or SAU Foundation funding requests in which your organization or department has been involved in within the last year. Allow time to develop website, create project content, etc. By typing my name above, I certify that I have read and understand the above information.